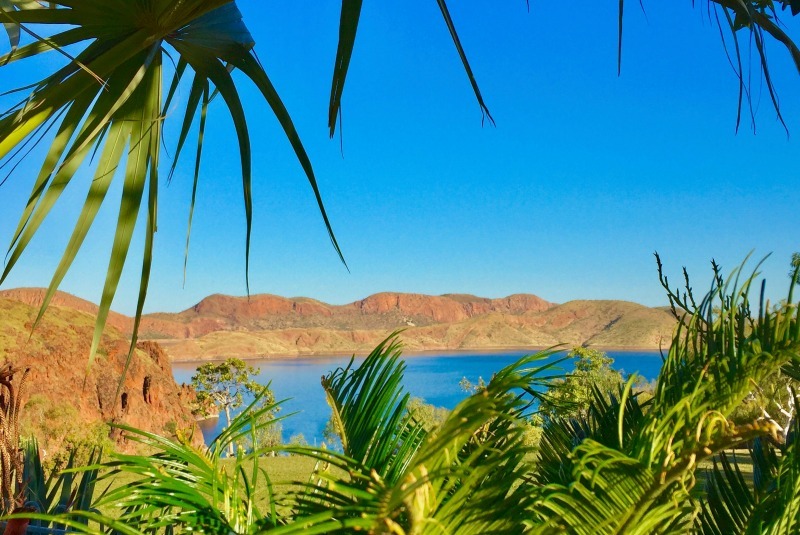 Lake Argyle is without a doubt one of Australia’s top man made wonders – an inland sea just a stones throw from the WA/NT border crossing about an hours drive east of Kununurra. 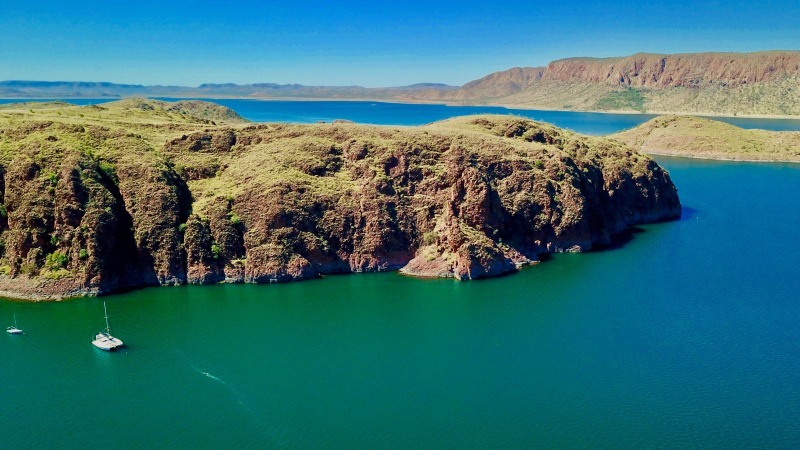 Lake Argyle began to form when the Ord River dam construction was completed in 1971 and took a full three years to fill to its current average capacity – almost 20 times the volume of Sydney Harbour! 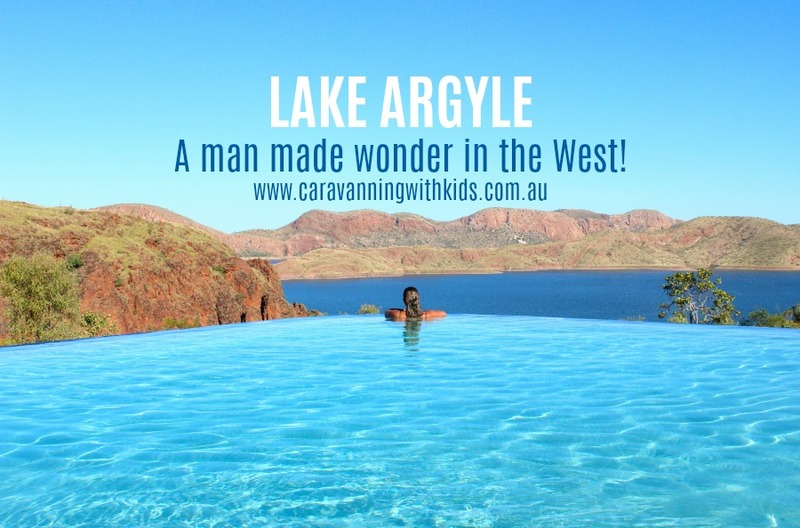 Its not hard to imagine why Lake Argyle has now earned the title of one of Western Australia’s must visit locations. Perched high above the north western side, with panoramic views of lake and surrounding country side , Lake Argyle Resort and Caravan park boasts one of most stunning poolside views in Australia, with the incredible infinity pool seemingly disappearing over the cliff face and not the lake below. The lake also facilitates a myriad of water sports including fishing, boating, skiing, kayaking, sailing as well as chartered sunset cruises. For those more keen to keep the toes dry you can drive across the dam itself or visit the look-outs and read up on the history, hike one of the many walking trails (the St Georges Terrace walk is incredible) or kick back at the resort and enjoy the view. Lake Argyle is genuinely one of those places that forces you to relax. Although it is only an hour from the nearest major town, it feels like you could be a thousand miles from the nearest civilisation. The scenery on the drive in just gets better and better and by the time you reach the resort the stunning views will stop you in your tracks! Despite that feeling of remoteness, Lake Argyle Resort still offers all the creature comforts without being over the top or gimmicky. 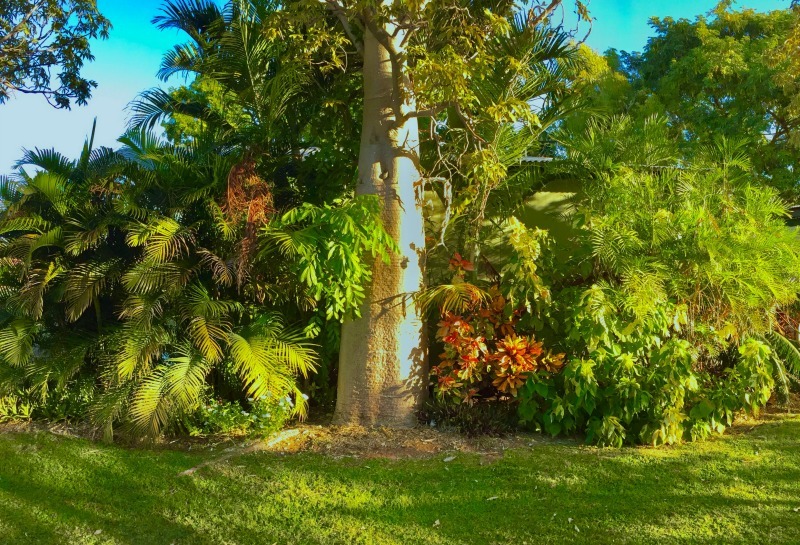 What you will find is a well manicured, well set out park with clean amenities, an honest bar and restaurant and a swimming pool that, anywhere else in Australia would be a lovely pool, but the location and view turn up the wow factor on this one to eleven. We’ve seen a lot of comments on the temperature of the pool (being one of the coldest in Australia) but this is just ridiculous. The pool isn’t heated but if you can jump into this pool on a thirty degree day with one of the most stunning views in Australia and only think about the temperature then maybe this isn’t the place for you after all. 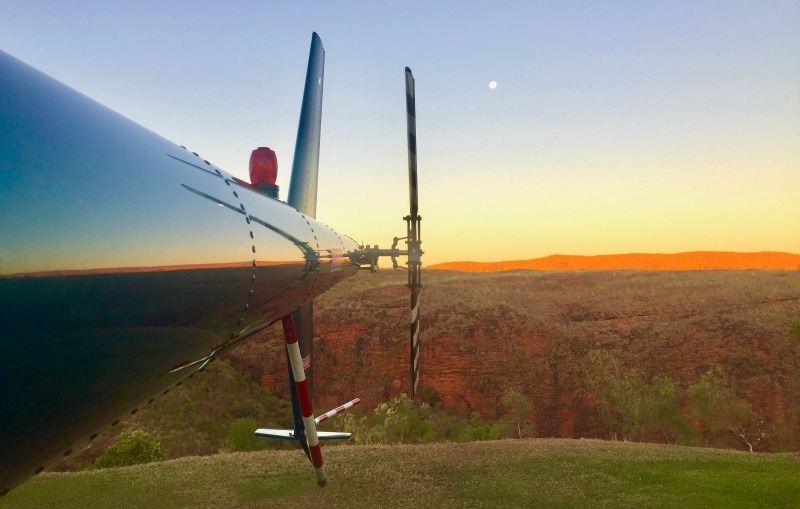 The tour office runs out of the reception and offers hundreds of tours including helicopter flights, scenic lake cruises, 4WD tours, cooking tours and much more. 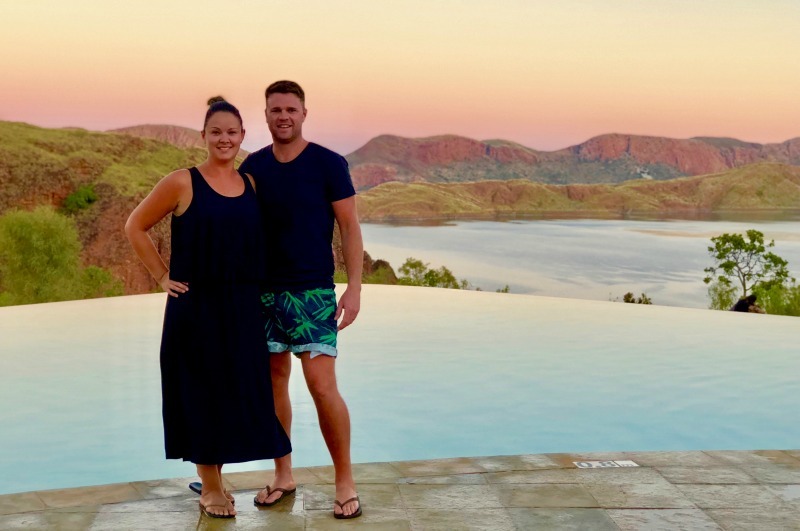 The reality is that not everyone wants to spend a lot of money doing tours but there are thousands that do and the fact that there is so much choice adds to the draw of Lake Argyle. Testament to this was that we unfortunately missed out on the sunset lake cruise as it was fully booked for the three days we were there and the two days after. The sunset lake cruise is by far the most popular tour at Lake Argyle so a word of advice would be to work out your dates early and book ahead to avoid disappointment. Another tip is that they only take a certain number of bookings and the remainder of sites are on a first come first served basis. We left Kununurra at 7.45am to arrive well before 9am and only had to wait about ten minutes to get a great powered site close to the amenities, bar and pool. There were about 5 vans lined up behind us though by the time we checked in and were allocated our site. There are no big shops at Lake Argyle, nothing overly fancy and the cost of a powered site wasn’t anything over the top. You could go there for a week and sit by the pool or you could spend every day hiking, kayaking, fishing, swimming, sailing, skiing or flying around the lake in a helicopter. It is that kind of place where each person who visits will come away with a different experience (and no doubt a different opinion) of their visit. You could spend thousands of dollars or you could spend no more than the cost of a powered or unpowered site but the beauty is that you have the options to do either. Our experience was very memorable and for the most part that was due to the amazing scenery and location. Whilst we were disappointed not to get a spot on the sunset cruise, we did have an amazing time enjoying the resort itself, visiting the dam and look outs, hiking St Georges Terrace and spending hours by THAT pool. Whether you love adventure and activity or rest and relaxation (or like us a nice mixture of the two) Lake Argyle is definitely worth the short detour off the Victoria Highway and the perfect way to say either a sad goodbye or an excited hello to the incredible state of Western Australia! 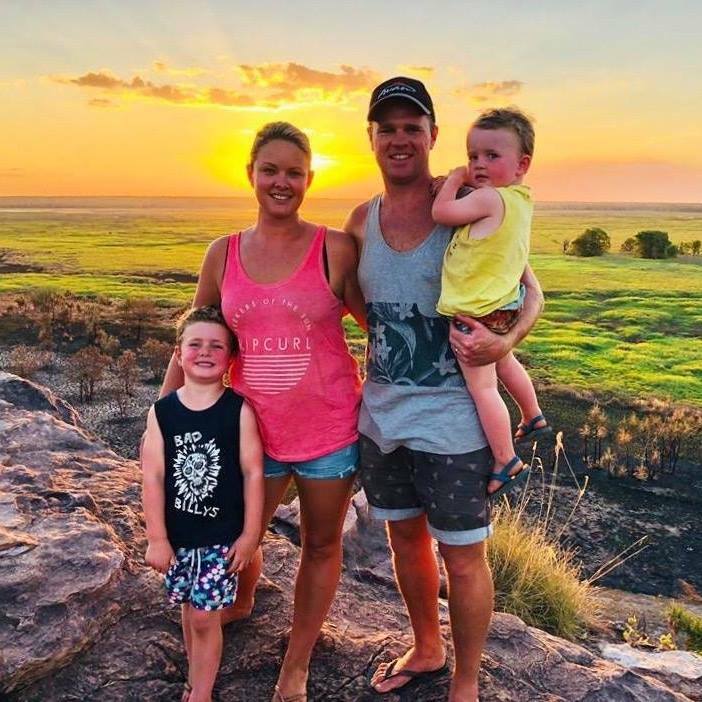 “We are a family of four – James, Clarinda, Eden (4) and Aston (2). 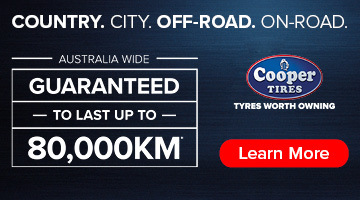 James grew up on the South Coast of NSW and Clarinda in Ballarat. We met in Melbourne in 2008 and were married in 2012, having two beautiful little boys since. With a fondness of the beach and a love of travel we really wanted to see our own country before our kids reach school age. We first had the idea of selling our home nearly three years ago after attending a local Auction. 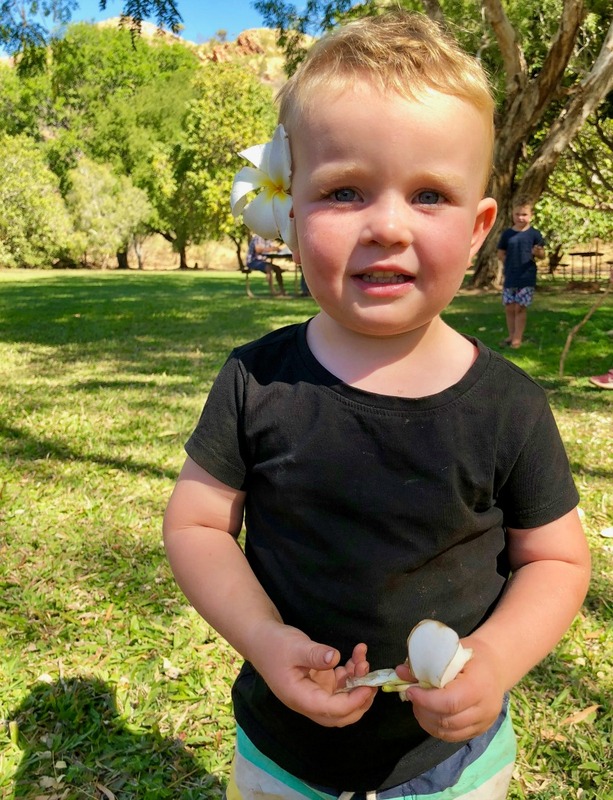 However, early the following year we decided that we would start our own business and have a second child which proved to consume most of our time over the next two years. Despite experiencing success with the business, there was a definite imbalance in our lives, described best as “two horses pulling separate carts”. So, with the real estate market in Melbourne at an all-time high, we finished the final little details on the home we bought and renovated in 2012 and put it on the market, at the same time deciding that we would take 18 months to travel the country before making any further decisions about our future. From this moment to driving away with our new car and caravan was about four and a half months and to date we still have no firm plan or route, only a loose idea and living each day on its merits. We are funding our travel through mainly the sale of our house, combined with saving like crazy, selling a lot of our belongings (many were sold with the house) and selling James work car. We also plan to work along the way (where possible) but for now are content to ‘holiday’ and catch up with family and friends. At this stage we have no firm plans when we finish travelling. We are open to the idea of falling in love with a place and buying a house there if the opportunity comes up which is part of the motivation for our journey, to see what else is out there for us. 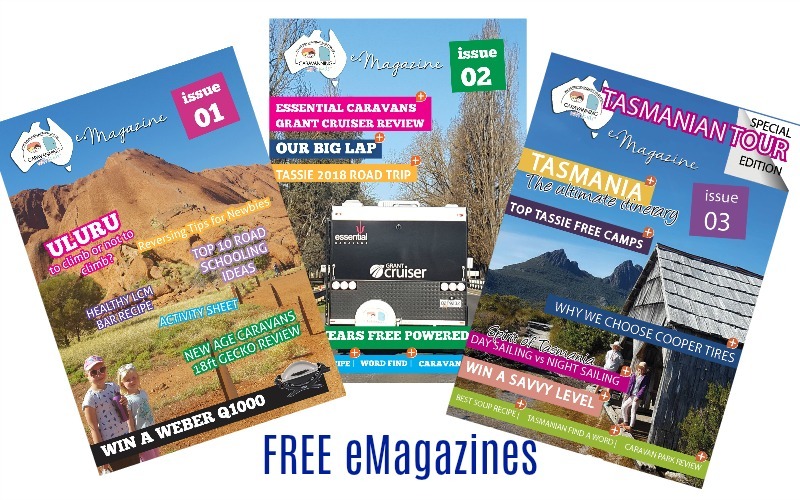 Have you checked out our FREE eMagazines? ?